When a spouse has any interest in a professional practice or ownership in a business, this asset may need to be valued and distributed as a part of the divorce. Generally, the person managing the business is required to buy out his spouse’s interest in the business. 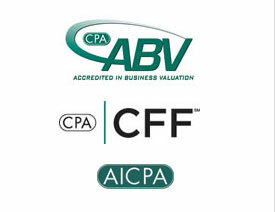 Attorneys realize that using a CPA is invaluable in determining the client’s business valuation. Valuations can be detailed reports or “ball parked” estimates, depending on the needs and agreement of the parties.